A woman in Poughkeepsie plucks your debut novel off the shelf. Okay, fine. It doesn’t have to be Poughkeepsie. It can be anywhere—Marietta, Springfield, Sedona—wherever. The town doesn’t matter because your debut novel flew off the shelves in every big and small town across America. Mostly because of one big thing. You pulled off the killer plot twist. Sound too good to be true? It’s not. Because the secret to pulling off the most memorable plot twist since Psycho isn’t a magic spell. It’s the unreliable narrator. Put simply, an unreliable narrator is a character who lies. Sure, sometimes he lies because he has something to hide. But the lie isn’t always deliberate. Sometimes he just doesn’t know the whole story. So how can he explain it right? Sometimes he’s too crazy (American Psycho) or too tired (Fight Club) or too drugged (Fear and Loathing in Las Vegas) to see the full story as it unfolds. But one thing is for sure. Regardless of the reason for his failure, the unreliable narrator’s story is not what it appears to be. And here’s the secret: it’s the gaps in his tale that leave space for the twist. In life, we brush shoulders with killers and liars, psychos and saints. We don’t always know a killer or liar when we meet one. Maybe he’s just limping Linus from 2A who hides an unlikely amount of antifreeze under his kitchen sink. Or maybe it’s that mom who rolls her kids to the park in the double stroller. What is she really drinking from that flower printed water bottle? Life creates a multitude of untrustworthy characters who blend with the crowd. The best fiction does too. You’ve guessed it. Unreliable narrators feature in so many twisted plots precisely because of what they hide. It’s those missing pieces, the parts of the story they hold back, that feature in the big reveal at the end. And that big reveal? The one where we learned what really happened? It changes how we understand the whole story, doesn’t it? Hence the perfect plot twist. Pi from Life of Pi is a character who keeps you guessing. His story of ship wreck and survival at sea isn’t the first of his fantastical tales. But even though his stories are tough to believe, you find that you want to. Since you don’t want to believe what you already know, you become a willing participant in the deception. So the twist surprises you all the same. Pi is an example of The Embellisher, an unreliable narrator who tells tall tales for fun. But The Embellisher isn’t the only type of unreliable narrator. Verbal Kint from The Usual Suspects uses deliberate deception to trick you in one of the most memorable plot twists in modern storytelling. Verbal is a Self-Preservationist, an unreliable narrator who lies to save himself. He’s the only survivor of a boat explosion. How he came to be on that boat is a mystery that investigators are determined to extract from him. Verbal’s tale twists many times before the final reveal. Surprise, in this case, is built on deception. These are just two examples of unreliable narrators. But in 7 Unreliable Narrators to Twist Your Plot I reveal the techniques behind the Self-Preservationist and more. In this article, you’ll get seven character types to wow your biggest fans. And that lady in Poughkeepsie? She doesn’t need to know you learned it here. 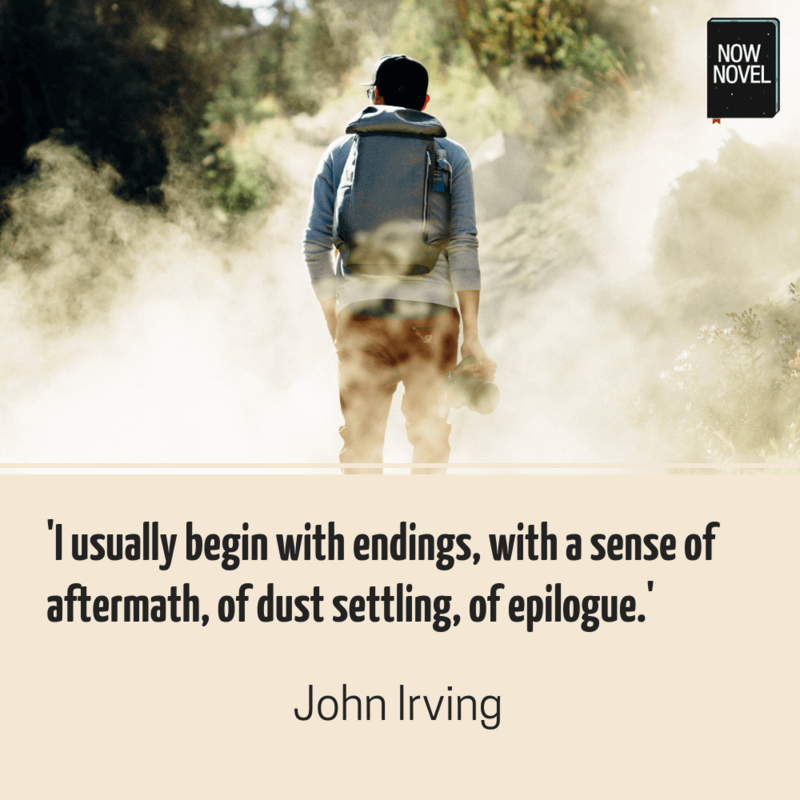 This entry was posted in ebook, Publishing and tagged creative writing, Daily Writing Tips, DailyWritingTips, editing tips, Storyline, stroyplot, twist, Write Practice, writing career, writing tips on March 27, 2019 by First Edition Design Publishing. to plot or not to plot…? So much has been said and written about this topic, that it is almost fruitless to comment. All you need do is google the topic and you will find countless analyses of the benefits of one or another approach, or of each approach. But beware, the writer’s subjective preference will often show, once you do this. For example, Kate Forsyth is probably on the side of plotting, as is James Patterson. And the genre chosen by the author to write in, will determine to a great extent, which approach s/he chooses. Fantasy writers and detective story writers will likely employ plotting as the favoured approach. However, not always. Kate Atkinson writes detective stories, but she is also great with character. She seems to bridge the gap between the two categories in a seamless way. I think that I belong to this latter group more than to the other group. However, I also think that one must adhere to each approach at different times of the writing process. It almost, but not quite, boils down to “female” versus “male” perspectives. This is not as sexist as it sounds, if taken in the Jungian sense of “eros” versus “ego” and “anima” versus “anima”. That is, we are all made up of two aspects, and we’d be advised to take into account both of these aspects when creating stories. If you neglect the Apollonian side relating to “the rational, ordered, and self-disciplined aspects of human nature”, you will fall short of the desired end goal. And if you get caught up totally in the “Dionysiac lust and chaos, you might also fail to reach potential. See Wikipedia on this dichotomy of “the struggle between cold Apollonian categorization and Dionysiac lust and chaos”. It is best, if at all possible, to remain with one foot in both camps, as does British author Kate Atkinson. That is because both approaches can collaborate, like partners in a successful “marriage of equality” (in its broadest sense), in producing a brilliant work of art. This entry was posted in ebook, Publishing and tagged creative writing, Daily Writing Tips, DailyWritingTips, editing tips, plot, plot points, Storyline, tip, tips, writing tips on March 9, 2019 by First Edition Design Publishing. After my brief hiatus (life got busy and I got overwhelmed), I’m back and excited to bring you a series of posts that will be part of a book I’m writing. Harness Your Reader’s Psychology is going to all about understanding what draws readers to your story, what fires their psychology, and how we can harness that. The first part of the book will focus on why readers read. Four chapters will explore where story can be found, why we’re so drawn to it, how story impacts us, and what it is readers are really looking for. So this week, we’re going to discover exactly how pervasive story is. 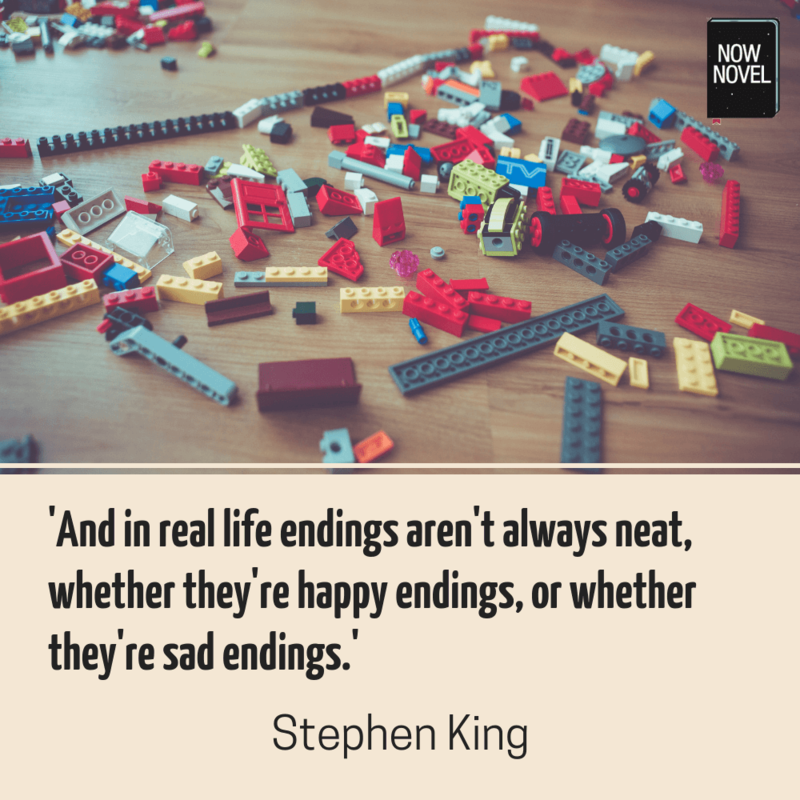 Most writers can tell you that story lives in other places outside of books. We understand that everyone does story in one form or another, even those that don’t read. I devour books, my husband loves to watch TV, my son absorbs himself in games of breeding dragons or building pixelated forests. In fact, gossiping is story, seeing a psychologist is all about telling your story, marketers know that a good story will invest you in their product. Story’s roots are so deeply embedded and woven through our humanity, that it is, quite literally, everywhere. Yep, story is everywhere. The proof that fiction is deeply embedded in humanity’s psyche is simple—story is everywhere. Story was with the Australian Aboriginal Dreamtime thousands of years ago, it’s stamped in the hieroglyphics of the pyramids and was carried in the beaded necklaces of the American Indians. And yes, we are reading less than we used to, and oral story telling is an art on the brink of extinction. But that isn’t because we’ve forsaken fiction. Story now thrives in chart-busting love ballads, Call of Duty games, and generates billions of dollars in movies about blue-skinned, long-tailed Avatars. Many of us understand that most of those examples are stories. But story is deeply embedded in our psyche, as evidenced by the stories we tell ourselves. Whether you aspire to be a writer or not, we are all storytellers in our sleep. Dreams are the places where we fly, commit adultery, witness murders, save lives. We spend hours (some scientists believe we may dream all night) scripting and screening fantastical theatre in our mind. Asleep, everyone of us is a storyteller. Nor do we stop dreaming when we’re awake. Daydreaming is the mind’s default state. We daydream when driving, when walking, when mopping the floor, when listening to Uncle Joe regal us with the golden years. The reality is, that if our mind isn’t focused on a task, it will skip off to wondering what would happen if you interrupted Uncle Joe and began discussing the joys of cross-dressing. In fact, our mind can’t help but create stories. This point is beautifully illustrated by an experiment conducted by psychologists Fritz Heider and Marianne Simmel. It was the mid-1940’s when the researchers made a short film, a simple black and white animation that lasts about a minute and a half. Essentially, there is a big rectangle that is motionless, except for a flap on the side that opens and closes. There’s a big triangle, a small triangle, and a small circle. The animation starts with the big triangle inside the big rectangle. The small triangle and circle then move onto the screen. As the big square’s flap opens, the big triangle moves out. The three shapes move around the screen, in and out of the rectangle. After ninety seconds or so, the little triangle and little circle leave the screen again. When I watched the film, I didn’t see basic geometric shapes. Instead I saw a father (the big triangle) inside his home, comfortable that he is lord and master of his domain. His daughter (the small circle) enters the scene with her newfound love, the little triangle. The father exits the house, and is furious to discover who his daughter has chosen. He instantly attacks the boyfriend, using his size to aggressively push and shove the smaller triangle around. He fires insults at the poor fellow, never giving him a chance to defend himself, then orders him to stay away from his daughter. The daughter runs to the house, cowering from behind the door as she watches in horror. But as she sees her love be bullied, the indignation has her approaching them. But her father berates her, being brutish and dominant. The couple try to flee, only to be chased. Eventually, they manage to escape. There’s a possibility the father may never see his daughter again. It was all very Romeo and Juliet, angst-filled teens fighting for identity and love and independence. In truth, it was a silly story my mind created in the moment from ambiguous stimuli. Thankfully, I’m not alone. After showing the film to their research subjects, Heider and Simmel gave them a simple task. We can’t help but create story. What’s more, not only do we think in story, but our interactions are driven by story. When we meet another person, the simple question of ‘how are you?’ sparks a description of our current state; the why we feel like that, and the how of how we got there. Discussing the news, our workmates, the latest reality TV craze is natural and normal. It’s all underscored by story. In fact, some scientists believe that one of the reasons story has stayed with us through the centuries is because of its importance in helping us function as individuals, but also in groups. So not only is story everywhere, we’re incapable of being without it. As writers, this is a something we want to harness. Our readers are drawn to our narratives for a reason; an unconscious one, a deeply rooted one. To do that, to grab them by the neutrons and not let go, we need to understand why story has become such a staple of our psyche, the how of what we’re trying to harness, and ultimately, what readers are really looking for. For that, stay tuned to the upcoming posts in this series. This entry was posted in ebook, Publishing and tagged Daily Writing Tips, DailyWritingTips, editing tips, Psyche, Psychological, psychology pathology, story, Storyline, Storytelling, tips, writing tips, writing tools on August 15, 2018 by First Edition Design Publishing.